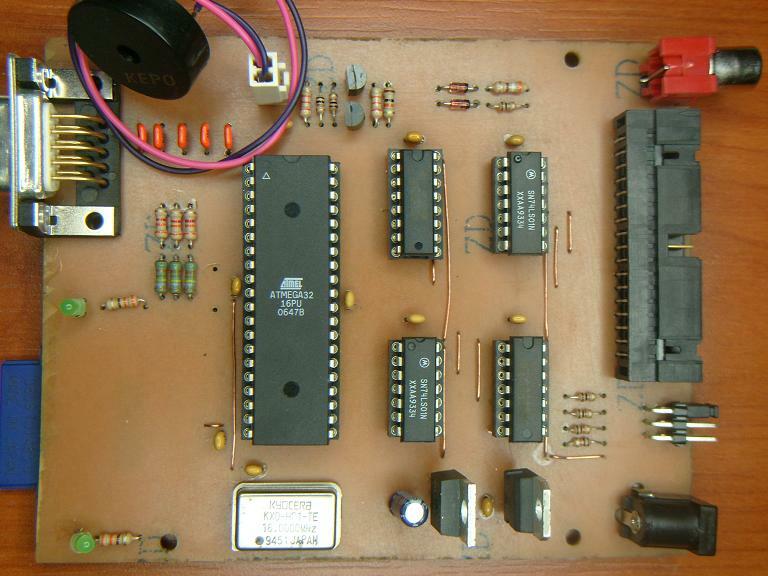 TFE is a floppy emulator based on an ATMega32 which reads the disk data from an SD/MMC card. It is similar to other like the HxC floppy emulator, but because of it’s simplicity it is easier to build (only single-sided PCB and standard components are used). Of course, the Amstrad CPC disks are supported, too :). However, currently it isn’t possible to write data into the loaded DSK images. Have a look at the project at Retromasters Electronic Projects. Currently the plans are not available, let’s hope that there will be a full release soon. so the device is connected between a floopy drive and the serial port, am i right? No, the device is a complete simulator of an floppy drive, which means that you don’t need a floppy drive any longer. To use it, you connect the emulator instead of a floppy drive to your computer and load a floppy disk image from the SD card. The serial port is not involved into this. hi all how can i get this emulator or its source code. i want to use or make it with ur helps. this was a prototype version. The HxC floppy emulator is now final and you can get more informations about it on the homepage of the author . You can also buy a fully assembled board from there. AFAIK the source code of the SD HxC floppy emulator is not open, so I guess you should directly ask the author for it. Simple floppy emulator with Sd card.